Simple, community-based and new-to-play games always have a strong appeal to players anywhere in the world. And Coin Master is an example. If you expect a simple pirate style game that allows you to “steal” the resources of your friends to build your own village, then Coin Master is the game for you. You will be transformed into a pirate, make money in the form of spinning luck, or loot the village of friends. Coin Master will give you the feeling of excitement and excitement. Coin Master is a pirate-style game by Moon Active released on both Android and iOS platforms. The game was created as a remake of all the problems that the Pirate Kings have encountered and made itself die. It is still your job to build your own village. And you will have to lead a pirate army to take over, destroy and rob the resources of other villages to build up your village. Starting the game, you will go to a deserted island, set up your village and start building the first buildings. You can build houses, build statues, build animal shelters, a small garden and a boat for travel. 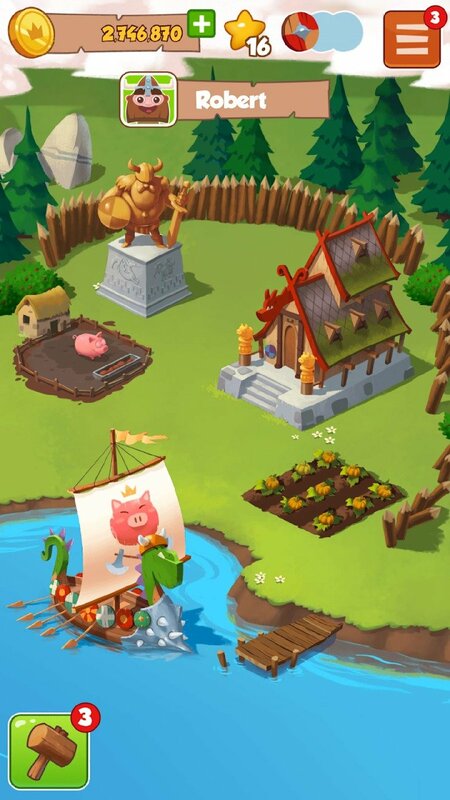 You will need money, a lot of money to upgrade your village more and more beautiful and earn a lot of stars. Stars are the unit to compare the wealth of players, not gold. When you upgrade all the buildings on the island to a certain level, you can unlock more new islands. 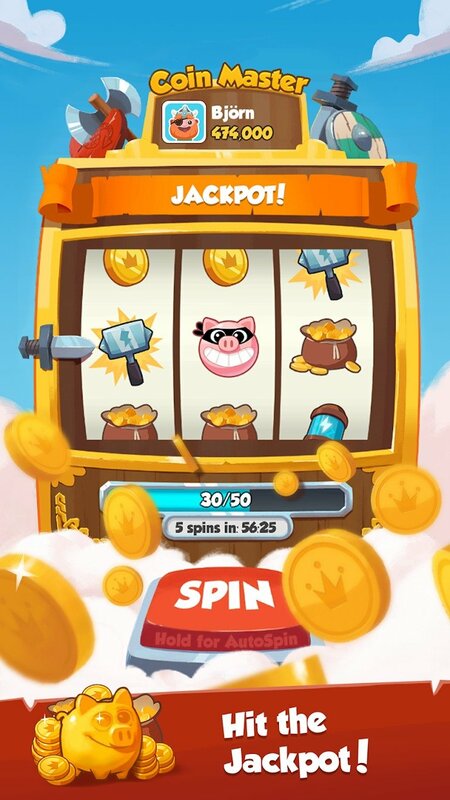 The lucky wheel is the most important feature of Coin Master, where you can try your luck. Each time you shoot, you will have the opportunity to receive gold coins, shields, opportunities to attack other villages or loot a friend’s money. Getting three coin or gold coin icons will give you a lot of money or get three hammers to give you the chance to attack a village. To receive a shield protecting your village from attacks by other players, you need to get three consecutive shields. 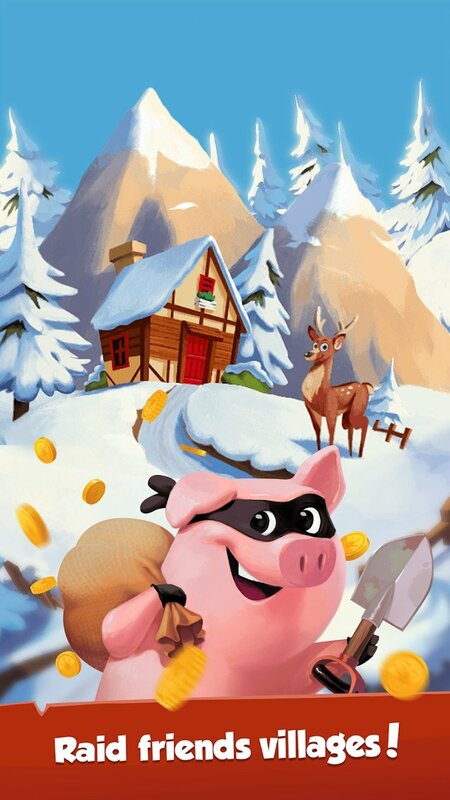 Especially get the symbol of 3 pink pigs will give you the opportunity to rob the money of other players. The Lucky wheel is not the only way to make money. Besides, you can go looting from other players. Destroying buildings, or simply robbing money, will help you get rich. Attack and destroy the entire village of enemies, take revenge on those who attacked you and take back what you have. If you get the thunder hammer, you will be destroying a building in the village of the enemy, and receive a corresponding amount. If you get the pink pig, you will get three times to steal gold coins. This will bring you huge amounts of money. It is extremely difficult to get three pink pigs. Coin Master is an online game where you will have to attack and loot the village of other players from around the world. The game has a ranking list of the strongest Coin Master; you can write your name here. If you like to poke fun at friends, you can play Coin Master and invite your hater to play with him all day long and break his house for him. The game supports for both Android and iOS platforms, players will have to connect to their Facebook account to play. 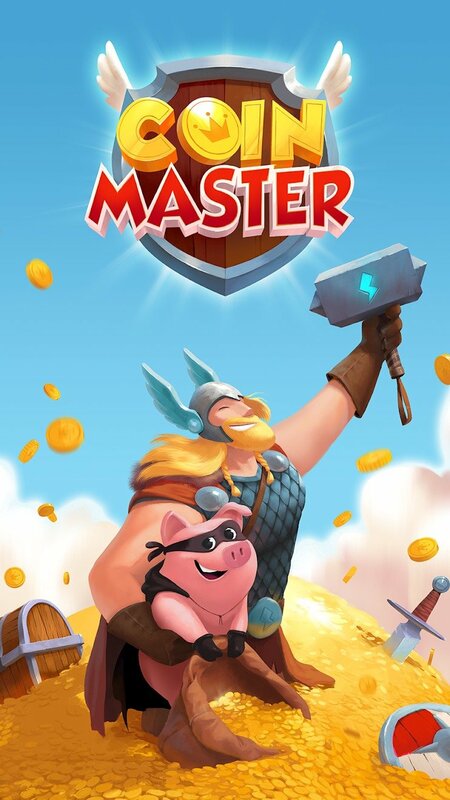 Coin Master MOD APK is ready to download! I downloaded this but it won’t let me log back into Facebook. Please help.